Don't let yourself get stuck in a style rut this holiday season. It's the perfect time of year to get out of your comfort zone and try something new. It's your moment to shine and have your very own red carpet moments. Take style cues from some of your favourite celebrities but don't forget that you also have to consider your body type and what's most flattering on you. A simple straight bodice is best when wearing a sequined dress. Like the ones by BCBG pictured below, you can make a statement with such a simple style. 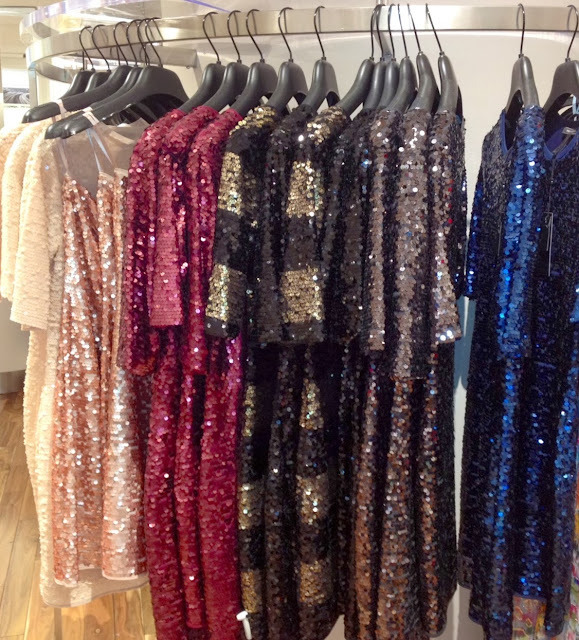 Keep your accessories minimal when you opt for a sequined dress. It can be distracting and take away from your outfit. A pair of chandelier earrings is as elaborate as you should get when dazzling the room in your dress. Sequined dresses are the perfect holiday outfit.